Are you starting the process of moving from Florida? Is there a vehicle you would like to move as well? If so, it's important to find a reputable and reliable company that offers auto transport Florida services that fit your needs and will ultimately meet and exceed your expectations. There are a few things to keep in mind when looking for Florida auto transport services. First is cost, shipping a vehicle across the country or even just a few states away depends on a variety of factors to figure the final cost of transportation It's imperative to get an estimate based on your move and the distance of travel, along with your vehicle specifications. Traveling to Florida presents a handful of different elements to consider including intense sunlight for prolonged periods of times as well as sudden storms and possibly even hurricanes. Make sure that your vehicle is prepared for intense weather before you send it on its way. We here at Florida auto transport have the experience and know-how to make sure that your vehicle arrives safely and on-time. Another important factor to look for when deciding on Florida auto transport services is if they offer any insurance or recovery plans. You should never put your vehicle in the hands of any auto transport services that are not fully insured. Working with a fully insured company will give you peace of mind knowing if something were to happen to your vehicle during transport you are covered. How much to ship my car, truck or motorcycle to Florida? Call 877-MOVE-CAR or visit our secure online quote and order form to get a quote or start your vehicle transport to Florida. How to find a reliable auto transport company? Learn about our company here and on our customer review page. How far in advance should I schedule my auto transport? Have more questions? Check out more car shipping frequently asked questions. Before deciding on your Florida auto transport company, it's important to read auto transport reviews. Taking the time to read auto transport reviews will allow you to get some insight on how other parties feel about the potential company and the services they provide. It would be in your best interest to read Florida auto transport reviews for Florida auto transport services so you can weigh the pros and cons and make your own judgment on whether you want to leave the responsibility of transporting your vehicle in the potential company's hands. When all is said and done, you want to find an Florida auto transporter that has best auto transport reviews given by satisfied customers. Do you need to ship a vehicle from Florida? When moving to Florida from anywhere in the world, Florida auto transport companies are the easiest and most convenient way to relocate your vehicle. When choosing Florida auto transport companies in it's important to compare both pricing and quality of the service provided. Pricing can vary and it's important to get an estimate from the Florida auto transport company based on your vehicle specifications before committing to any company. As a potential customer, you are able to ask for documentation such as permits and licenses from the Florida auto transport companies to ensure the Florida auto transport company is operating legally. One last recommendation for when you have finally chosen an Florida auto transport company is to always be on time when dropping your car off and document the condition of your vehicle before its loading on the truck. Type of shipment truck - The most commonly used auto shipment truck is open, and this is the most affordable method of shipping a car to Florida (or anywhere for that matter). Most standard-sized vehicles can be shipped safely and effectively with open carriers. Certain vehicles, however, should be shipped in an enclosed shipping truck because they need to be protected from the elements during the Florida auto shipment or when they need have temperature-controlled environments. Vehicles that are best suited for the enclosed carrier include vintage vehicles or luxury cars. Type of vehicle shipped - Another important factor that impacts how much it will cost to ship a car to Florida is the vehicle itself. Direct Connect Auto Transport ships all types of vehicles including standard-sized cars to oversized SUVs and even RVs, boats and construction-type equipment. While your Florida vehicle shipment cost will vary based on the type of vehicle you are transporting, you can rest assured that it is in good hands with us. Seasonality factors - Like most industries the car shipping business has a peak season that is more expensive than the low season. The busy season for shipping cars generally begins in the summer and extends into early Fall. Because of the large number of snowbirds shipping cars to Florida for the winter, early Fall is a particularly in-demand (and more costly) time of year. Location - In addition to the distance of your Florida car shipment, the location can have an impact on the total cost of your auto transport service. Large metropolitan areas will have more drivers available as well as more drop-off and pickup locations making them more cost-effective options. Don’t leave the cost to ship your car to Florida up to just any auto shipping company, choose the best. Direct Connect Auto Transport offers an affordable price, top-notch insurance with a strong network of fully-vetted drivers along with dedicated 24/7 customer service and a damage-free guarantee for your Florida car shipment. Many criteria will impact how much it will cost to ship a car to Florida from your location. Call 800-980-2222 or fill out a secure form online for an instant price quote to get started. How much does it cost to ship a car from Florida? Shipping options - Options such as door-to-door service and enclosed carriers will increase the cost to ship a car from Florida. While using standard, open carriers and opting for terminal drop-off of your vehicle will save you money, if that works for your vehicle and your schedule. Vehicle type - A standard sedan is going to be cheaper to ship from Florida to your desired destination than an oversized truck. Additionally, costs may also arise if your vehicle is inoperable. Distance - For obvious reasons, the shorter your car shipping needs are, the cheaper it will be. Shipping a car longer distances translates into higher fuel costs as well as higher driver labor costs. Timing - As the old saying goes, timing is everything! While it’s not everything, in this case, timing does contribute to how much it costs to ship a car from Florida to another part of the country. If you have flexibility in your schedule or if you are able to plan ahead, you may be able to avoid peak times and save some serious dough. Insurance - Insurance is key component to any car shipment service. Direct Connect Auto Transport includes insurance in its price quote to you. If you are comparing quotes, be sure to understand if the insurance is included in the price you receive or not. Delivery time - Expect your car shipment cost to spike if you are on a tight timeframe, need a more specific drop-off time versus more flexible shipping arrangements such as at a more convenient drop-off locale or within a three-day window. Bulk rate for fleets of vehicles - If you are shipping a fleet of cars from Florida to a second destination, you’ll likely gain a per vehicle cost savings with a bulk rate. Payment method - Many car shipping companies will offer a discount for cash payments. This could be a way to shave a few percentage points off your the cost of shipping your vehicle out of Florida. Ready to crunch the numbers? Grab a free, secure online quote now or call 800-980-2222 to get started. What times of year are auto shipping in FL most expensive? While a multitude of factors can influence how much your auto shipping is FL will cost, one main contributing factor is the time of the year. Florida does not have big fluctuations in its seasons, going basically from Spring to Summer on repeat year-round, but it does have seasonality affects that can drive up the cost of auto shipping in FL - all related to the transient set lovingly referred to by the locals as snowbirds. How snowbirds drive up the cost of auto shipping in FL: Snowbirds can be widely defined as a northern resident who travels to a southern state to avoid the bad weather of the winter months. Snowbirds are most commonly from Canada or the Upper Midwest and most commonly land in Florida to wait out winter enjoying the sunshine. Because they arrive, typically, in early Fall and stay until late Spring, most snowbirds want the use of their own vehicles during their stay. Snowbirds are predominantly older, and the long drive south is often prohibitive or at the very least undesirable, making auto shipping to their winter home in Florida the perfect option. The result: a spike in demand that leads to an increase in the cost of shipping a car during these periods. The arrival of the snowbirds - While the exact dates vary, snowbirds are flowing steadily into Florida starting in November and continuing through the end of December. Your FL auto shipping costs will be most expensive during this period. The departure of the snowbirds - As quick as they arrive, they soon head back to their winter abodes in late spring. Shipping your car to or from Florida will be more expensive during March and April due to the spike in demand caused by the snowbirds’ homeward departure. If you have an FL auto shipment coming up, understanding the peak seasons will help keep your costs down. If you’re ready to schedule your FL auto shipping now,schedule it online now or call 800-980-2222 get started. What are the most expensive cities to ship to in FL? Choose larger cities. There are many large metropolitan areas in the state of Florida, including Miami, Tampa and Jacksonville to name a few. Shipping your car to the larger cities may cheaper than requiring your car be shipped to a more out of the way Florida destination. While it may be worth the extra money if you are on a time crunch or logistics prevent you from accessing a larger city, you may save some money with flexibility in this area. Stay further north, if you can. Florida is a long, skinny state and the further south you go, the more it’s going to cost to get your vehicle there. Some of the most expensive cities to ship to in FL will include West Palm Beach, Fort Lauderdale and Miami along with southern cities on the west coast of Florida such as Naples. Snowbird destinations can drive up the price. Cities that are inhabited by snowbirds can be among the most expensive cities to ship to in FL during those peak times of year when the snowbirds are arriving (November-December) and departing (March-April). 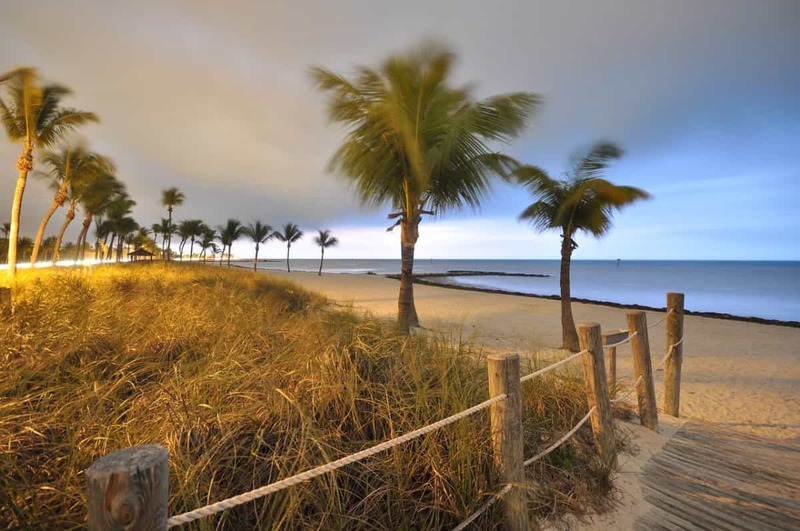 Top snowbird destinations include all of South Florida especially Hollywood, FL as well as Orlando, St. Petersburg, Fort Myers and Cape Canaveral. Contact Direct Connect Auto Transport today so we can help you determine the most affordable way to get your vehicle shipped to Florida. It’s as easy completing an online request form or give us a call at 800-980-2222 to get started! What are the most commons cars shipped to Florida? When will the carrier truck deliver my vehicle? Your vehicle is delivered within 1 to 10 days, based on the mileage. The complete transport time depends on actual distance. Our driverstravel 300 to 500 miles on a daily basis. When you call to place your shipment, our shpping representative can provide you with an estimated time of arrival, based on all of the factors. You are also given a unique tracking number to keep track of your shipment from start to finish.